behind the tabernacle doors. God deserves nothing less today. were out on the sidewalk. God deserves nothing less today. for the salvation of their souls but as a bulwark and protector against Eucharistic sacrilege. God deserves nothing less today. and printed in Church bulletins. God deserves nothing less today. conduct or how many souls risk their eternal salvation. and author of Calvary in China] had managed to say Mass and reserve the Blessed Sacrament. the possibility, the high probability, of sacrilege when It was found. to say his rosary on them and becoming confused. But one prayer he never forgot to make. This musing is not about personal preference or putting the genie back in the bottle but rather giving God the honor and reverence He deserves! 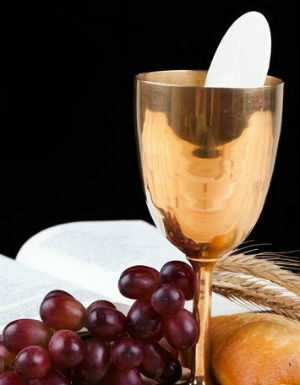 For the end of Eucharistic sacrileges, let us pray!